Howdy folks. 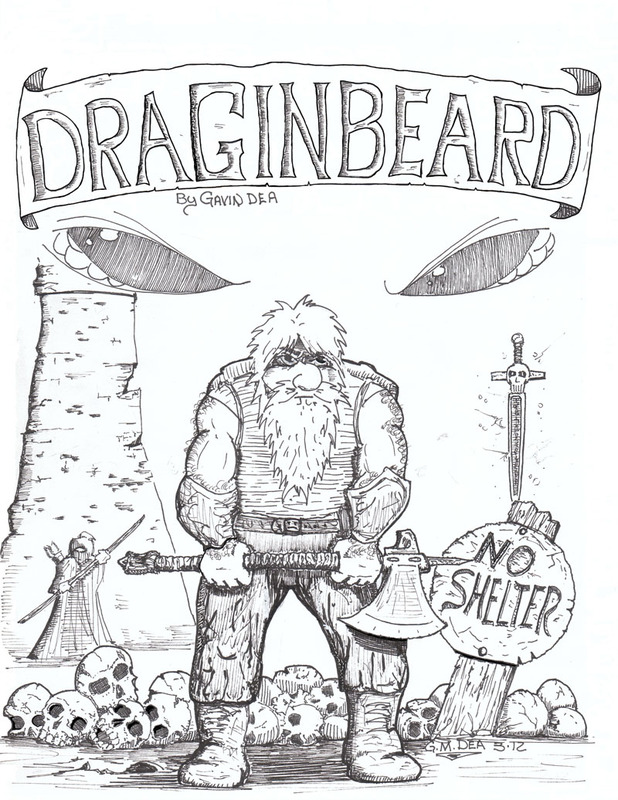 Welcome to Draginbeard and the world of Scarlan. This is the cover of the first chapter. The idea here is to put up some images from the story you are about to see. This is some earlier work I did, before I had any experience with photoshop. At some point in the near future I will be coloring the comic as I become more comfortable with that skill set. Thank you to Melissa for taking the time to show me the stuff I just didn't get. To Brian for looking over my stuff and giving an honest opinion. Without you guys, this never would have happened. Judging by your art alone, it is promising. I'll just drop a 5 here, okay? I'll take it! :) thanks for checking it out. The first story page posts on friday. I have some long term plans for this strip. Some serious, some light hearted, all of it fun. Not that quick, but just with what basics you were able to teach me has made my more recent pages (everything after page 7) look loads better! You are the best!! Thanks. Really want to color this one. Soon as I have a bigger buffer I will take some time to do that. Thanks =D I checked out Vendura, you brought a real sharpness to your style. Very nice. Whoa! This cover is awesome! Thanks, Ive come a ways since I drew this one up. I'm excited to begin working on the second chapter and the cover for it very soon! Very good! I've always liked crosshatching. It's very simple yet versatile. I look back on this, all of 7 months ago, before I started with photoshop, and I remember the struggles I went through learning to ink. This page was one of my better attempts. I have so much work to do on my stuff, but then there are sooo many other really good webcomics out there now, I can't stop myself from reading them!